When using a washing machine, water temperature can be a tricky thing to get right. Get it wrong and your favourite jumper might come out of the wash looking like it belongs to a ten-year-old. So when it comes to washing your clothes in cold water, when and why should you do it? Cold water, which in washing terms is usually 25°C or less, is typically used to wash delicate clothes. It’s ideal for items which are prone to shrinking or fading when washed in warm water such as natural fibres including wool and cotton. Some colours can do better in cold water as well such as blacks, navy blues and other dark colours. Cold water helps prevent the colour from fading. In order to cold-wash delicate clothes, you can usually find a specific ‘delicates’ cycle on your washing machine, as well as temperature controls. If not, hand washing is always a good fall-back! And when in doubt on what temperature to use, check the clothing care label that is probably attached to the item of clothing. There are specific types of laundry detergent that can be used for cold water washes; it’s also worth thinking about whether you should use a laundry powder, liquid, capsule or sachet. The possibilities are almost endless! 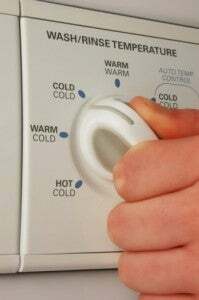 The government’s Energywise website recommends that, if you’re a cold-water devotee, you should do a warm wash every five loads or a hot wash every 10 loads to remove any dirt and detergent that may build up in the machine. Warm water is probably what the bulk of your clothes will typically be washed in (unless you as, as previously mentioned, a cold-water devotee). Warm water is better at activating the enzymes in most general detergent products, making for a more effective wash – it also helps loosen stains more effectively. In other words (and provided your clothes won’t shrink or fade), warm water tends to be more effective at removing stains. 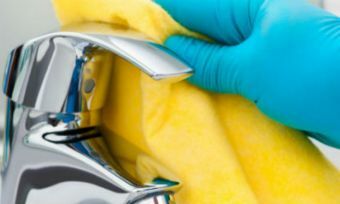 For really dirty, sweaty or otherwise soiled items, it’s best to use properly hot water, which is also effective for washing routine, heavily used things like bedsheets, towels and other cloths. This might be as hot as 55°C. Keep in mind, if you’re particularly budget-conscious, that washing in hot water will cost you more, due to the energy required in heating the water. It’s also a good idea to manually check the temperature of your washing machine water during a cycle. After all, what is “warm”? The temperature of your washing water can depend not only on the cycle you select but also the temperature of your heating thermostat, the distance between your hot water system and the washing machine, and how much hot water you have in your water tank. Choosing between a cold and hot wash might not be as straightforward as you think!